We started 2016 with a quick tabulation of AtFAB file downloads to date, and are amazed that the count has reached over 11,000 since first launching the project 5 years ago. A rather staggering number, when you consider the implications of sending information rather than stuff around the world that many times. Since 2011, makers and professional fabricators alike have produced versions AtFAB pieces locally around the world. 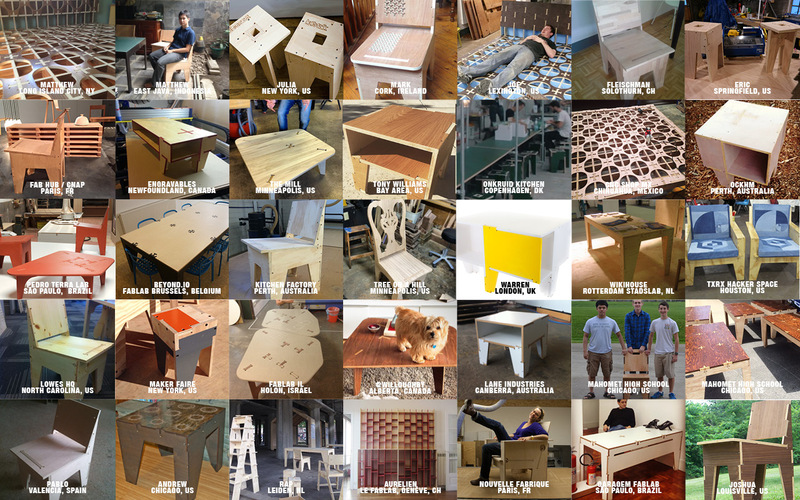 Here are just a few of the many images of AtFAB builds that happened on 6 continents, and too many countries to count. Share AtFAB stories, and tag your posts with #AtFAB!